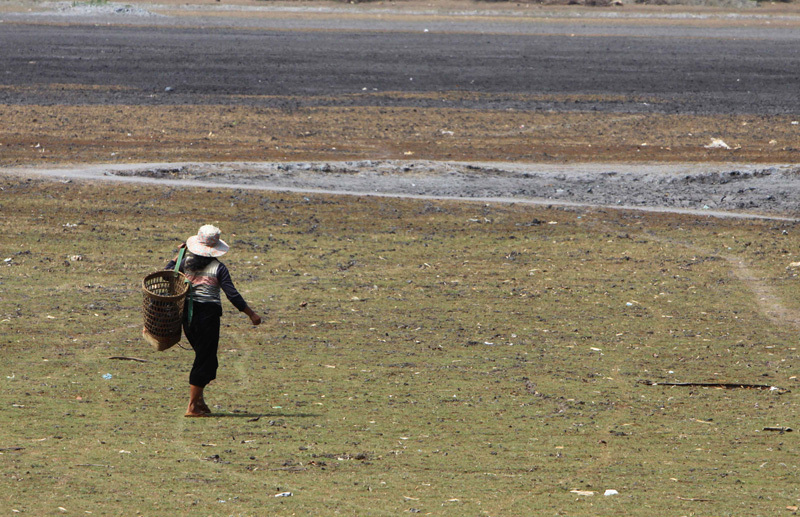 HCM CITY (VNS) — The rice harvest in the south-central and Tay Nguyen (Central Highlands) regions is expected to be under 35,000 tonnes compared to the previous winter-spring crop because of prolonged drought, the Ministry of Agriculture and Rural Development has said. The ministry's Plant Cultivation Department said that 1.63 million tonnes of rice would be harvested in the 2014-15 winter-spring crop. The region's rainfall late last year was 20-60 per cent lower than the average of many years, and this year it has been 20-50 per cent lower than average, according to the South-central Region Centre for Hydro-Meteorological Forecasting. "Ninh Thuan had to stop planting more than 6,000ha of rice in the winter-spring crop to ensure the supply of irrigation water," Phan Quang Thuu, deputy director of the Ninh Thuan Province Department of Agriculture and Rural Development, said at a seminar held in Phu Yen last Friday. The Phu Yen department said it would also review the results of cultivating cash crops and ask the province's People's Committee to develop support policies for farmers.